Environmental groups have filed a lawsuit which aims to limit the U.S. Navy's use of sonar and live-ammunition in training exercises planned to last until 2019 in the waters off of Hawaii and Southern California. By the Navy's own admission, environmental impact reports estimate that hundreds of whales and dolphins will die as a result of the training, along with 2,039 serious injuries, 1.86 million temporary injuries and 7.7 million instances of behavioral change in marine animals. The suit, filed by Earthjustice in tandem with other environmental organizations, petitions the National Marine Fisheries Service's recent decision which granted the US Navy permission to conduct training with sonar and live munitions, requesting that more be done to prevent injuries and deaths of marine species. "Live-fire and ocean sonar training harms critically endangered marine mammals like Hawaii's insular false killer whales, which number only about 150 individuals and rely heavily on their acute sense of hearing to survive," says David Henkin of Earthjustice. Navy sonar and live-fire training have been implicated in mass stranding, exploded eardrums, and deaths of whales and dolphins. 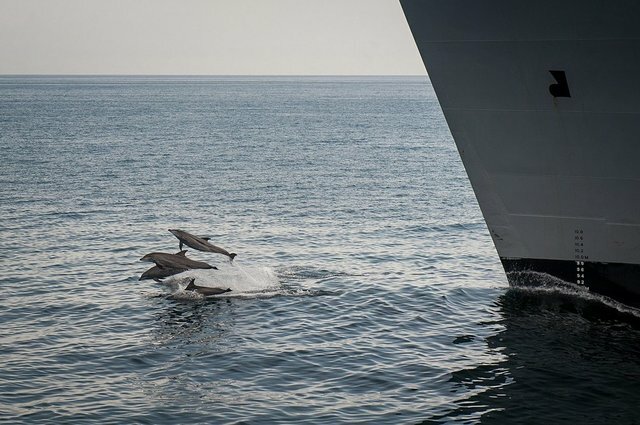 "The whales and dolphins who wind up in the middle of the war games don't stand a chance against the Navy," says Miyoko Sakashita, oceans director at the Center for Biological Diversity. "The Fisheries Service needs to do better to protect our oceans by preventing harm to the animals that call those oceans home."